It’s been a long, cold winter, with one of us constantly down with the flu, a cold, a sinus infection, or an ear infection. When my husband asked me to make comfort food from his childhood, it sounded like just the thing. But when he told me the recipe, I was instantly disappointed. It just sounded too simplistic. Not interesting at all. But then I realized: comfort food is simple. Maybe that’s part of what makes it so comforting. I’m always interested in the comfort foods in other cultures, so why shouldn’t I embrace a Greek one? So what is manestra? 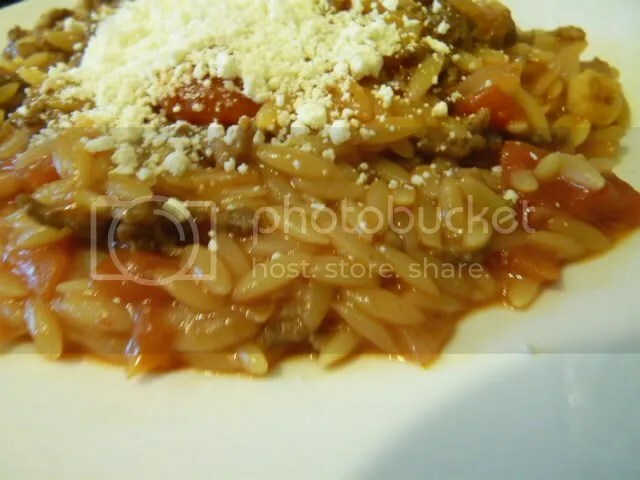 It’s another name for orzo, the small rice-shaped pasta that is often called kritharaki / κριθαράκι in Greek. It can be made in any number of ways, but this is probably the simplest. 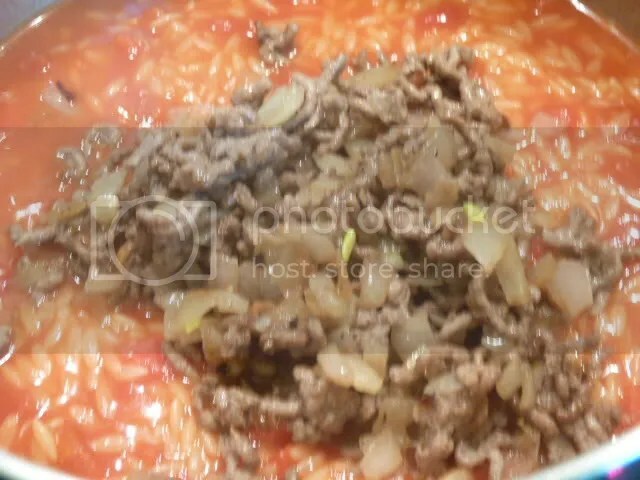 Start by assembling the ingredients: orzo, diced onion, a little ground beef, and a can of diced tomatoes in their juice. 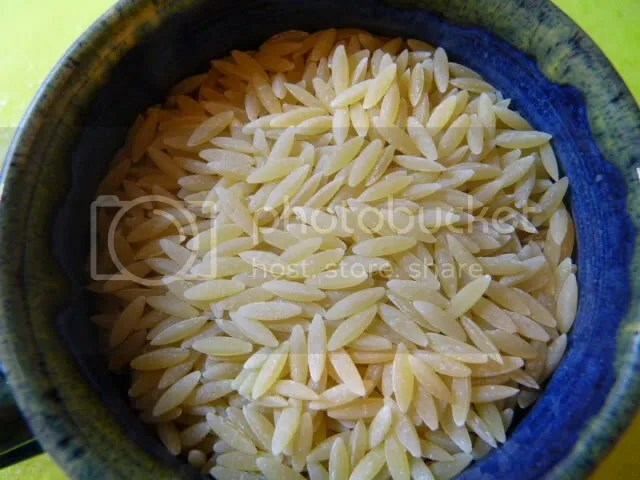 Measure out three times as much water as orzo. Put the water and the tomatoes in a pot and bring to a boil. 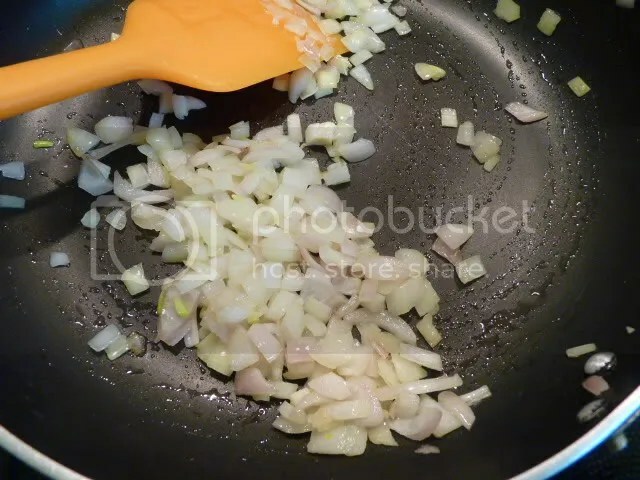 Meanwhile saute the onions in a tiny bit of olive oil. 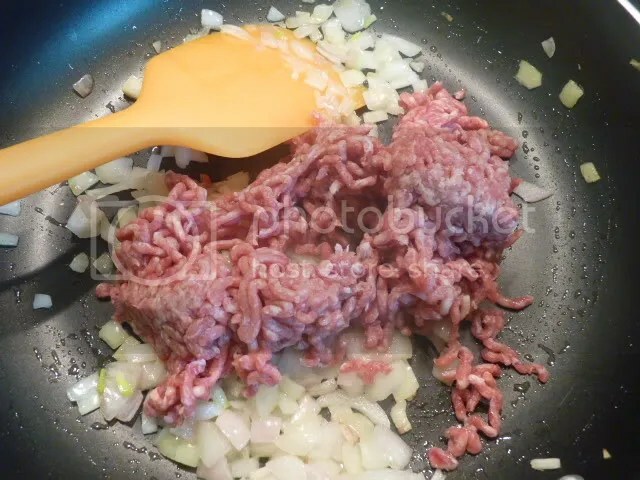 When they’re translucent, add the ground beef and brown it. 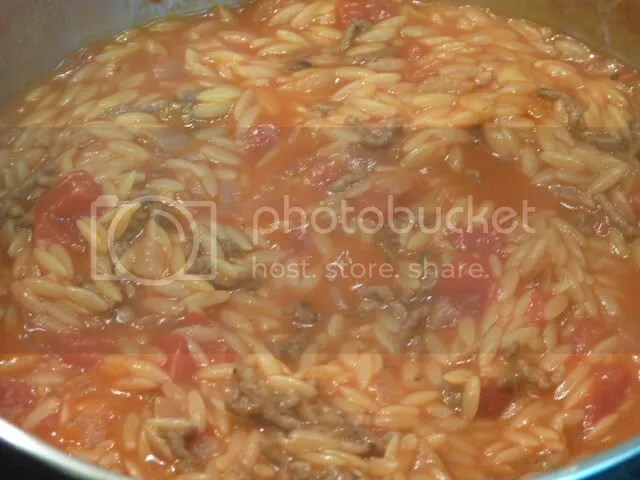 When the water boils, add the orzo. Stir frequently, or it will stick to the bottom of the pot. 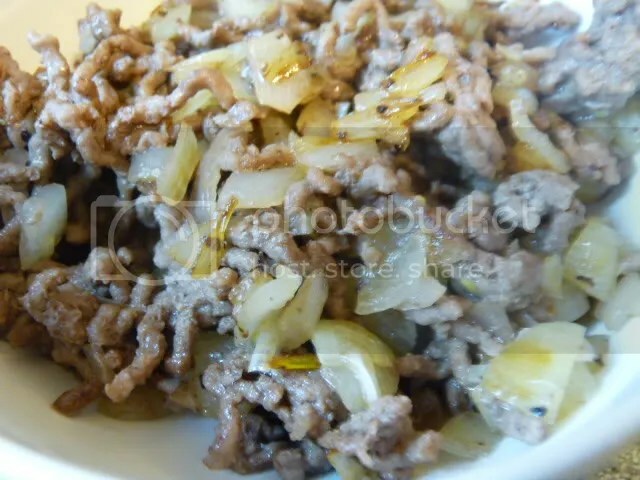 When most of the water is absorbed, stir in the meat and onions. Turn off the heat, put a kitchen towel over the pot and then cover it with the lid. Allow to sit for 10 minutes. Season with salt. 1. 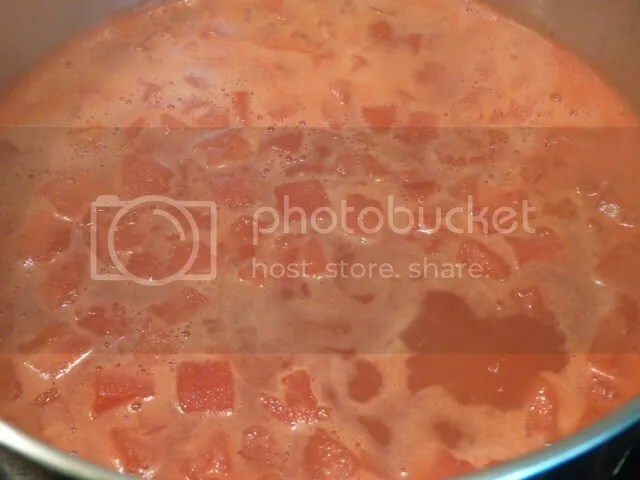 Bring water and tomatoes with their juice to a boil. 2. 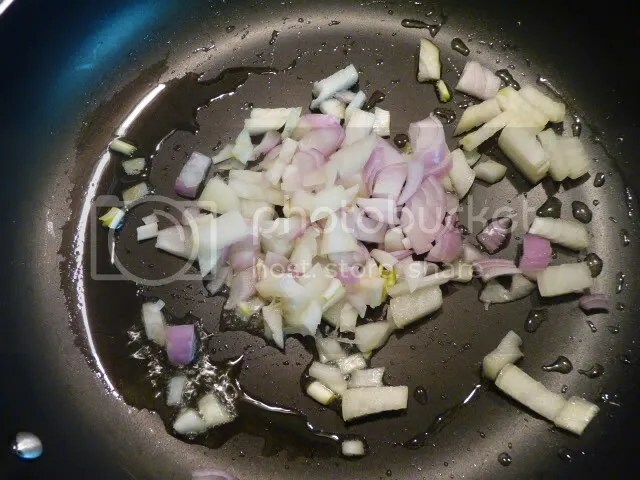 Meanwhile, saute onions in olive oil. 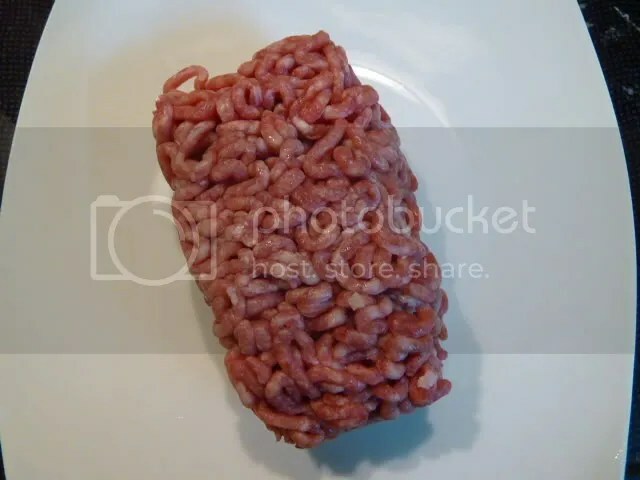 When translucent, add ground beef and brown for several minutes. Season with salt and pepper. 3. 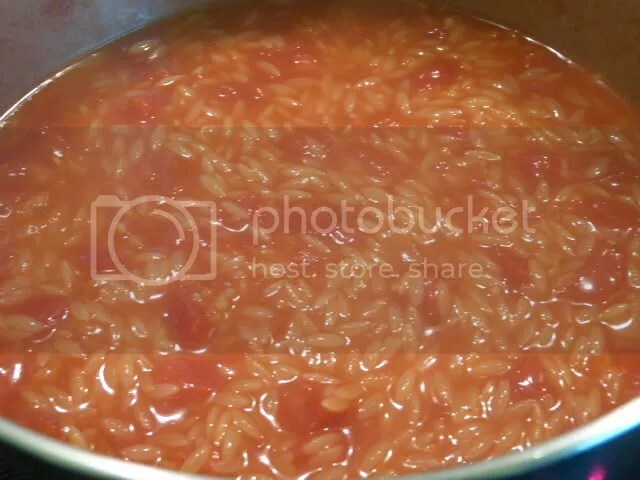 When water boils, stir in orzo. Stir frequently. 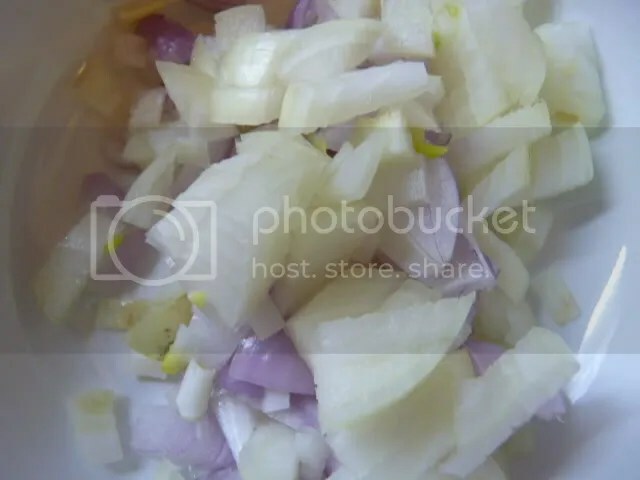 When most water is absorbed, stir in meat and onions and turn off heat. 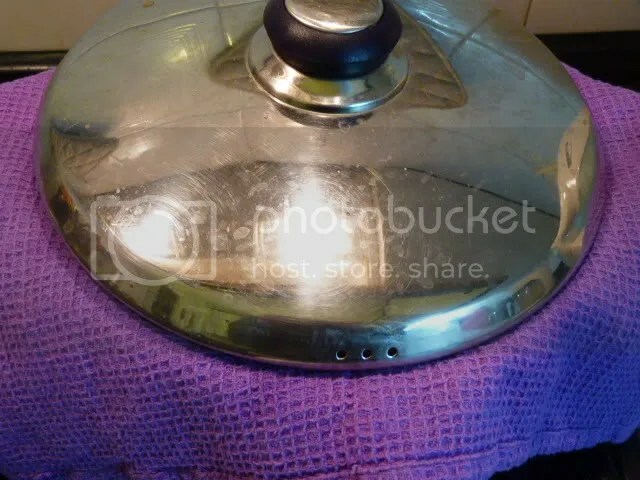 Cover pot with a kitchen towel and lid, and allow to sit for 10 minutes. 4. Season; serve with myzithra. vitamin A, calcium, thiamin, niacin, vitamin B-6, phosphorus, selenium, magnesium, zinc, vitamin C, iron, riboflavin, folic acid, folate, vitamin b-12, manganese, and copper. That sounds yummy – will be adding that to my list of quick, simple, comforting things! I’m a great pasta fan. thanks Kate! we are huge pasta eaters in this house… I love coming up with new ways to use it! Now I have something else to do with that orzo. Thanks! I hope you enjoy it! Orzo is one of the pasta shapes that I’ve never been a huge fan of, always struggling to figure out what to do with it, but in this case it works. Your manestra looks delicious! In my family we make ours with shrimp it is so addicting, haha. Bravo sas! Christina, that sounds great, like a Greek paella or something – okay, maybe not haha. S grew up eating it plain, without any meat, so there’s that vegetarian option as well. I bet it would be good with falling-off-the-bone pork or beef too. I can see why this is comfort food. I’m saving this recipe – it will help vary the pastas and legumes we eat. My mom called a certain dish goulash. (It certainly wasn’t Hungarian goulash.) Yet, it was her comfort food. Flat egg noodles, tomato sauce, onions, garlic powder, oregano, parsley, salt. Really simple. Question for you, the dices tomatoes look really creamy and thick. Here in the States, you probably remember the diced tomatoes are still pretty firm and the liquid is very watery. 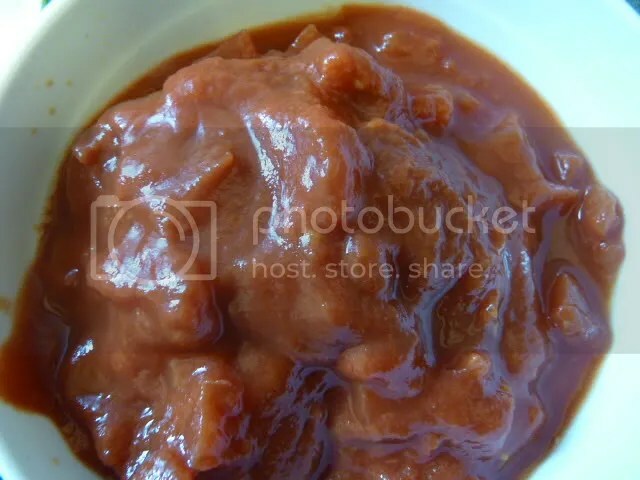 To give the same effect at the Greek ones, would you recommend adding some tomato paste to the recipe? Hi Dana! I hadn’t thought about the difference in American vs. Greek diced tomatoes. Here, as you can see, they are canned in the equivalent of “plain tomato sauce” which you can also buy separately. 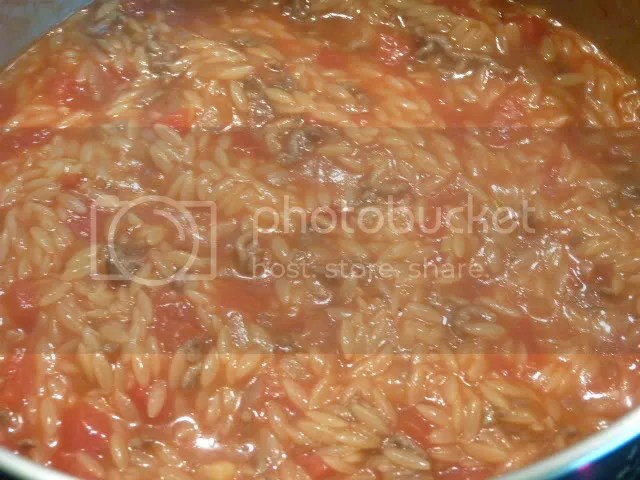 If your diced tomatoes are canned in something thinner / watery, then definitely add some tomato paste and maybe use just a little less water in the pot (since the aim is to get it all or almost all absorbed by the pasta). I would add 1 tbsp tomato paste and reduce the water by 1/2 cup I think. I’ve been wondering what to do with that bag of orzo I bought for soup and then never used. I will definitely try this – it looks so easy and good. Easy and good is this recipe in a nutshell! I hope you enjoy it! wow, Yolanda, you get a gold star!! Handmade orzo is such a massive undertaking – I’ve only done it once, and swore never to do it again! Lamb & its stock sounds perfect for this. I’m so glad you liked it! Thank you for sharing this recipe. 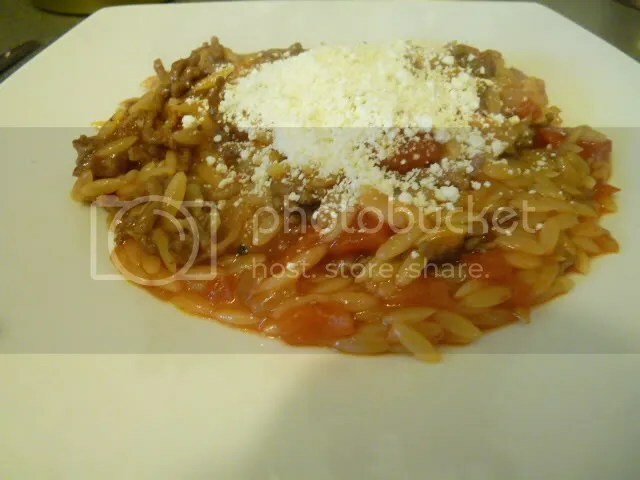 Is it a traditional Greek recipe? I cooked this last night for me and my partner and we absolutely loved it. Its gone in straight away as one of our favourite comfort food recipes! I would like to share a post about it on my blog with some pictures and a link to your blog for the recipe. If this is okay please let me know. I tried a ‘manestra’ tonight using leftover soup. I will try yours next! I make manestra almost weekly (not kidding), and just posted about it on my blog as well! I found yours when I was trying to find out what the word “manestra” actually meant- thanks! I can’t wait to try it with myzithra cheese; I’ve always used parm or Romano. Yum, looks delicious! My mom always makes it with cinnamon sticks whole allspice a bay leaf and always served with crumbled feta and olives…..now to this I have add a few capers and a small hot pepper and its flavor town dynamite……however your recipe is easy for a quick weeknight comfort food and delish as well,good work.